I’ve been enjoying learning to make projects using my new Cricut Air Explore 2. 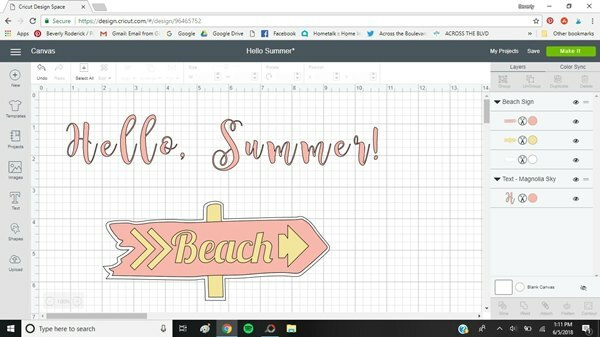 I’m sticking with simple ones for now like this Hello, Summer Sign. Using a frame from the dollar store kept the cost for this low. It was easy to put together and it’s perfect for welcoming in the summer season. I was happy to find vinyl on sale at JoAnn Fabric & Craft recently. 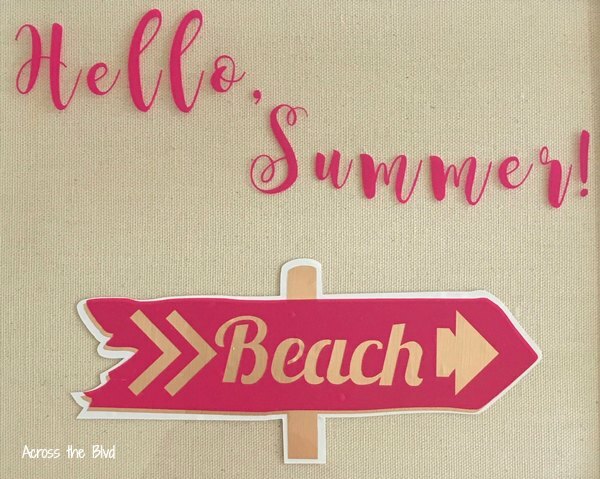 I bought several rolls and I used assorted colors for my Hello, Summer Sign. I bought the frame at the Dollar Tree recently. I had other plans for it, but when I started looking through my stash of frames, it was the best option for this project. I painted it using Waverly Chalk paint in plaster. 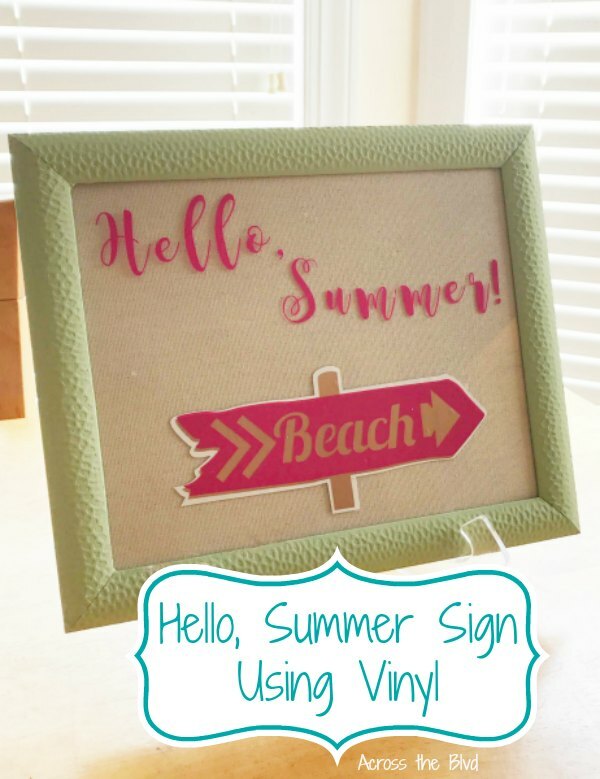 I created the design for the sign using the Cricut Design Space. I used a font called Magnolia Sky. I searched for beach images and found this cute image with arrows. It’s a layered image using three colors of vinyl. I used white, gold, and pink. After sending the design to my Cricut for cutting, I weeded the excess vinyl away and used transfer tape to apply the words and image to the glass of the frame. I searched through my stash of card stock and didn’t find just what I wanted for the background. Instead of card stock, I decided to use a sheet of laminated canvas. Once I decided on the canvas background, having the frame white wasn’t a good look. I’m going to be displaying this in my sun room and I’ve used Waverly Chalk Paint in Celery for other pieces in the room. 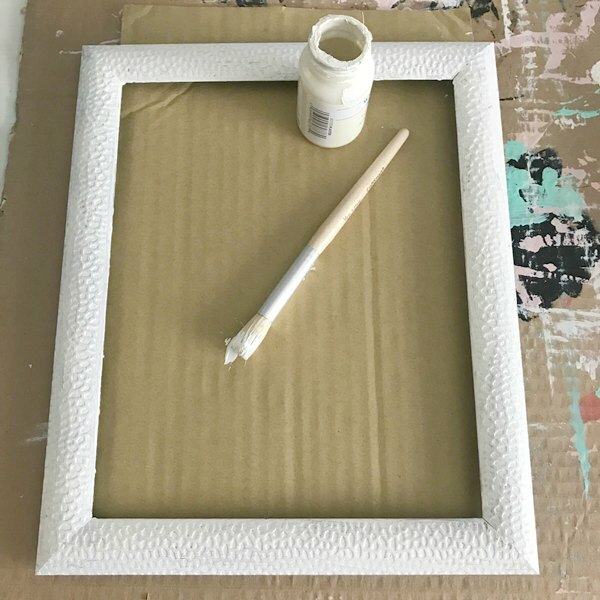 After I added the Celery paint, I sprayed the frame with Minwax Polycrylic Protective Finish. Living in a coastal city means we’re never too far away from the beach! It’s a fun addition to our sun room decor. 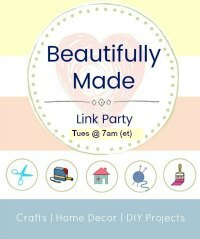 We’re kicking off our Summer Time Fun Link Party today! 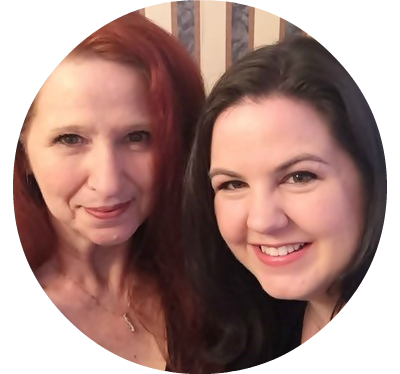 We’d love to have you share your summer posts with us at the party. You’re invited to share your Crafts, DIY Projects, Recipes, Activities, Outdoor decor, and more from June 15 through July 16. The party is being co-hosted by 15 bloggers. That’s lots of exposure for your posts! We hope to see you there! What a great beach sign! The cricut is so mich fun to create with. Love the colors! Thanks, Jenny! I’m having so much fun learning how to create with my Cricut. 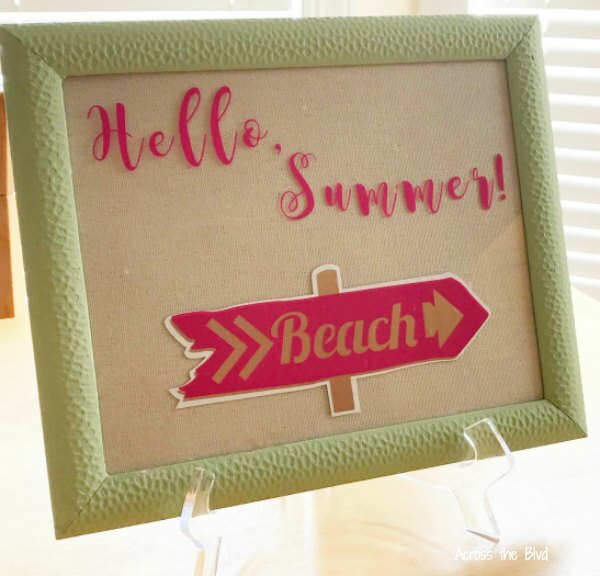 Cute sign, I’ve never used a cricut, it looks fun. Thanks, Kelly. I’m just learning how to use a Cricut and I’m enjoying it. 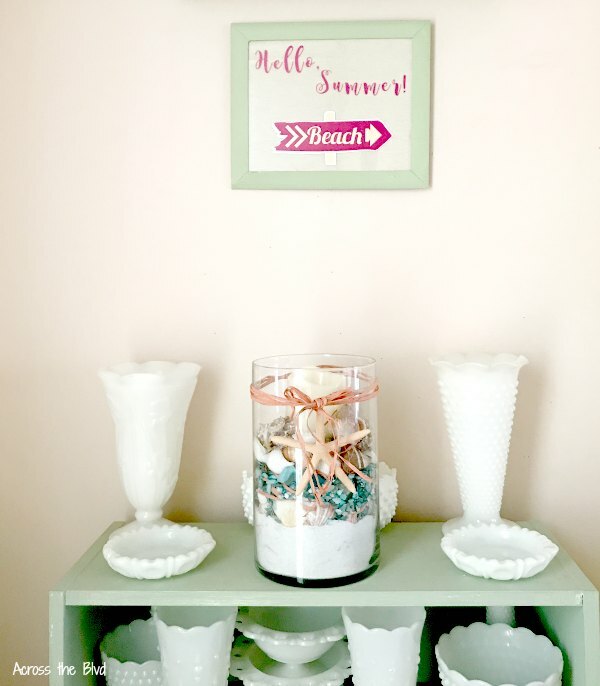 This is such a cute piece of decor for Summer!! Love it. Thank you so much for sharing with us at Merry monday! Thanks, Amanda. I’m enjoying learning how to use my Cricut for fun projects like this. Thanks for hosting! So cute! 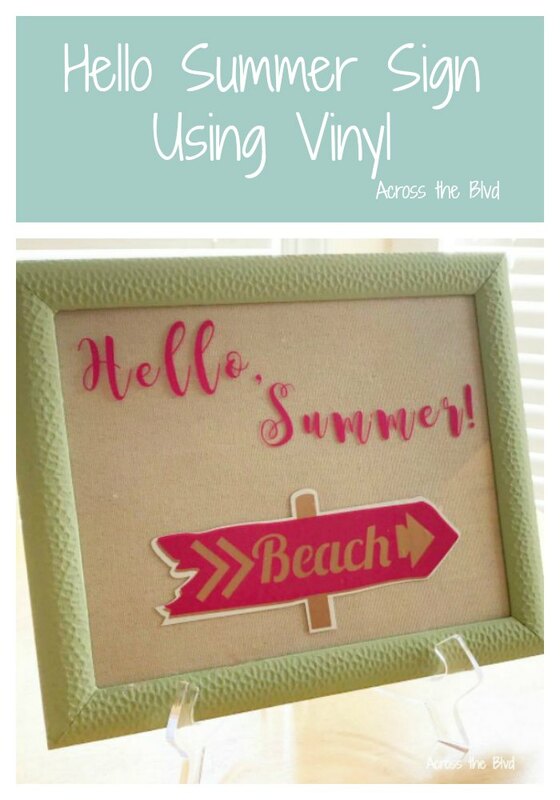 I too am still learning how to do vinyl projects using my Cricut and I find I either love them or hate them… usually because they don’t turn out like I had pictured. Pinned. This one was super easy to make. I’ve got so much to learn about how to do more intricate projects, but I’m enjoying it. Thanks, Joanne! I appreciate the pin! I think this sign is great. Love the colors you chose too. Fun. 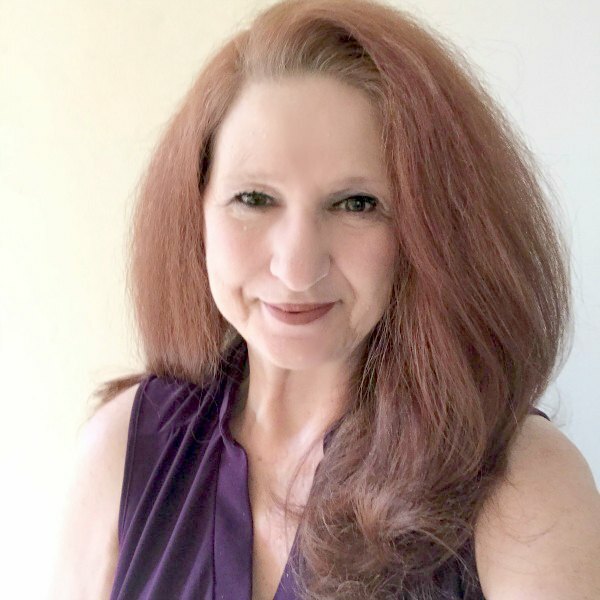 Thanks, Michele! I’m enjoying learning to use my Cricut with easy projects like this. So cute! I love the color of the frame! I like the idea of using vinyl letters in A frame. This decor would even look cute on a front porch! Thanks, Kristin! I’m finding all kinds of uses for Cricut projects. 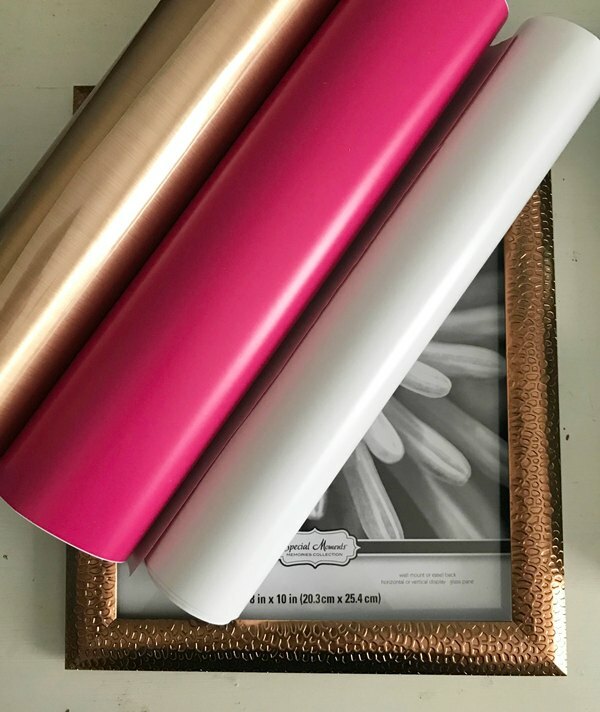 It’s such a fun way to create lots of decor pieces.